Rittal One door wallmounted enclosure in RAL 7035 light gray color, features carbon steel construction with textured paint finish. It has a dimension of 24-Inch x 20-Inch x 8-Inch. The 16-gauge thick enclosure has NEMA 4 rating and IP66-degree of protection. 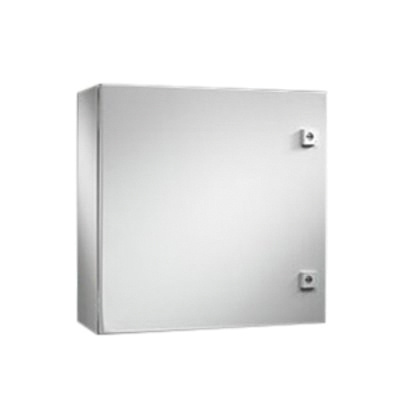 Wallmounted enclosure is UL/cUL listed and CSA certified.